We have a lot of fabric companies and hardware companies at Madison Lane. One of our most used vendors is RM CoCo. 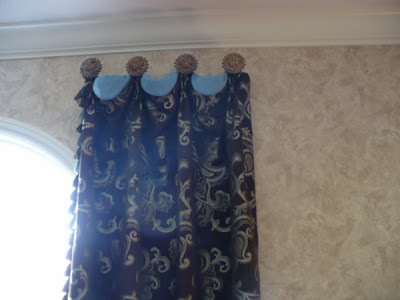 The picture above is from their website, featuring their fabrics, trims and hardware. We have used their hardware many times, and have found they have one of the best selecitons of medallions/rosettes. The pictures above feature medallions from "The Finial Company", which is one of the hardware companies carried by RM CoCo. 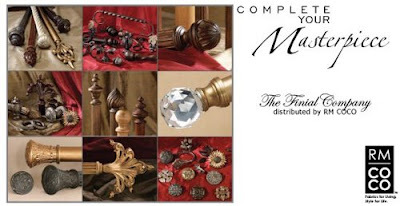 The Finial Company offers a variety of drapery hardware, including decorative traverse rods, wood and iron rods/finials, and decorative resin finials. Another one of our favorite things about RM CoCo is our rep, Bruce. He's quick to answer questions and very good about keeping us up-to-date on all the newest happenings in the company. They are located in Cape Girardeau, Missouri, so shipping time is fast! 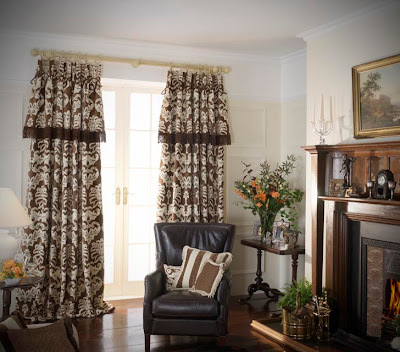 We do use their custom workroom for many of our drapery panels and roman shades. They do a fantastic job and give great customer service. 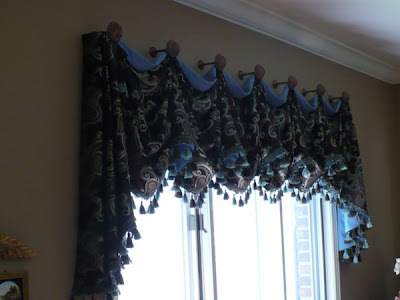 Browse their website for more information about the company, and be sure to look through our fabric, trim and hardware books next time you need something special. Can you guess where we've been?? ?